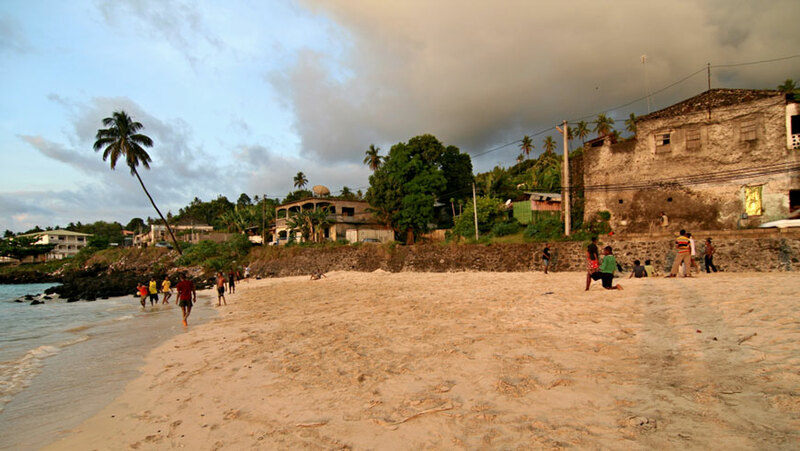 How improved weather forecasting and observation is helping the Comoros face a changing climate. The children playing in the school grounds in Diboini, a hilly central area of the Comoros’ main island, pay no attention to the gated area housing unremarkable-looking metal structures. But in the capital Moroni, staff at the country’s meteorological service are thrilled with what these machines comprising automatic weather stations are doing: generating reliable forecasts to help the country now, and gathering crucial information to predict its future. “We need data for more than 30 years to try and make reliable forecasts about climate change,” says Mohamed Hamid, the head technician at the agrometeorological service. Before the Government of the Comoros, UN Environment and partners established five stations across the Comoros’ three islands with the support of the Global Environment Facility (GEF) in 2013, its weather forecasts came from satellites only focused on one point, plus a few outdated stations that were ill-equipped to deal with the islands’ varied topography. Having proper climate information is becoming increasingly important in the Comoros, one of the world’s poorest countries with a large rural population that relies on rain-fed agriculture and subsistence farming. “We used to know exactly when the rain was coming, and there would be six months of rain and a six-month dry season,” says Djuma Mlara, a farmer living in Diboini. Farmers used to be confident in knowing when the rains would start and stop, and exactly when to plant each crop. “But we no longer have any idea if the rain will continue the next day or if it will turn really sunny,” says Mlara, who has to walk miles to fetch water from storage tanks to stop his harvest of greens, potatoes, manioc and bananas from failing. What little climate data there is on the Comoros shows that this trend is set to continue. “Studies have shown that there is a 0.2 percent increase in temperature per decade, a 10-15 percent drop in rainfall and there is also a problem with rising sea levels,” says Hamid. Youssouf Elamine Mbechezi, the Director of Forests at the Ministry of Environment in the Comoros, says that unpredictable weather, climate shocks and disasters are hitting the country hard. Floods have been so severe in recent years that they have destroyed homes or whole neighbourhoods and washed away seeds, crops and soils. As well as providing more modern equipment that provide a solid database for future reports, the project is also building human capacity for the future. “At this very moment, we have two engineers in Niger being trained in agrometeorology,” says Hamid.